We’ve been following a lot of projects from our friends at Evolve Automotive. One of them is a very powerful, very green F80 BMW M3 called Project Vyper. We’ve covered it quite a bit before. In this new video, Evolve got together with Carwow to have a drag race between the Vyper and a bone-stock F90 BMW M5 Competition. So which is fastest? It’s rather interesting, actually. Both cars are very different. The tuned BMW M3 has 605 hp thanks to its hybrid turbos, Eventuri intake, new exhaust and engine tune. It also has a rapid-shifting dual-clutch gearbox. However, it’s only rear-wheel drive. While the BMW M5 has 617 hp, making it more powerful. But it’s also quite a bit heavier and only has an eight-speed torque-converter automatic. It does have all-wheel drive but Carwow’s Mat Watson switches it to its ‘2WD’ mode to make it fair. However, while in 2WD mode, traction control is completely turned off. So Imran from Evolve kept his M3’s traction control off as well, to keep it as fair as possible. So in this state, both cars make over 600 hp, have automatic gearboxes and rear-wheel drive with no traction control. Which car wins? 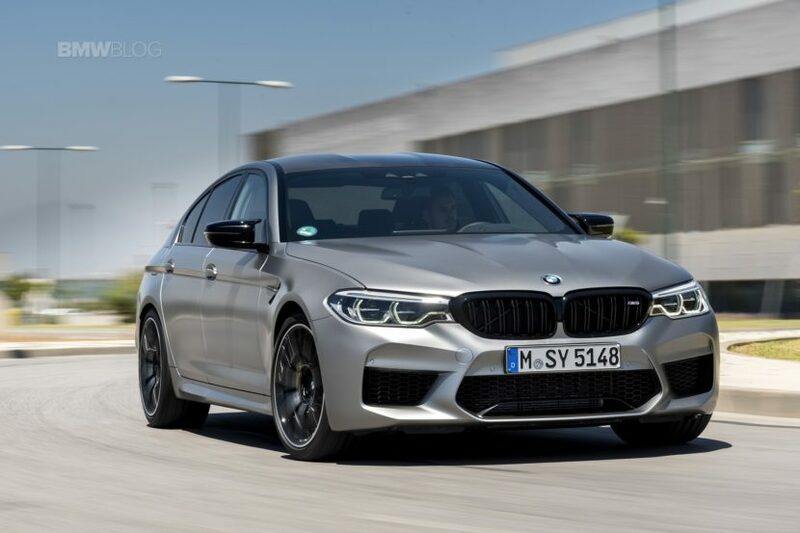 Well, in the standing drag race, the BMW M5 launches harder and has better grip, allowing it to pull ahead quicker and keep its lead until the end of the race. Though, it seemed like Watson jumped the gun a bit on the launch. Though, they then do two more tests; a rolling drag race and a braking test. We won’t spoil it all for you, so you can go and watch the video, but it’s interesting to see the differences between both cars. The biggest takeaway from this race, though, is that BMW M is absolutely correct in moving to all-wheel drive with its new M cars. As fun and pure as rear-wheel drive is, it just can’t handle the massive amounts of power from these new modern performance cars. Over 600 hp is just too much for rear-wheel drive in anything other than ultra-aerodynamic, mid-engine hypercars.